With the solid gold Christmas home invasion comedy classic Home Alone getting a worldwide theatrical re-release this December – check for listings here – we recently caught up with Catherine O’Hara: Kevin’s put-upon mom, Lydia’s mean modern art-loving mom in Beetlejuice, and the voice of Sally in the fabulous The Nightmare Before Christmas. I’m sure my household is not the only one where Christmas doesn’t officially begin until Daniel Stern gets hit in the face with an iron, so getting to ask one of the stars of one of the best Christmas movies ever a few questions was a real early Christmas present. 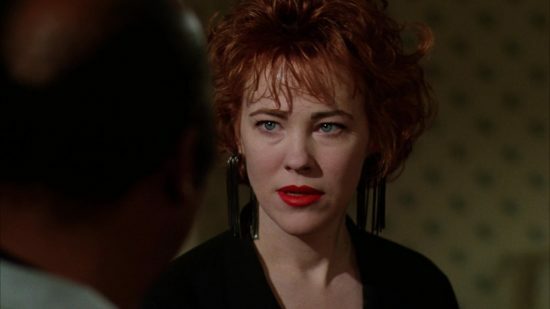 Catherine reveals that the cast of Nightmare will be touring a live performance next year, her experiences with Macaulay Culkin, John Candy and Tim Burton and even her own favourite Christmas movies. So don’t wish for your family to disappear – take them to the cinema this weekend to watch Joe Pesci get hit with a paint can. Home Alone is a Christmas classic and it is very exciting that the film is going to get a re-release in UK cinemas this December. Did you have any inkling when you were making it that the film would be so beloved and enduring? No, I had no idea. No one ever really knows. How did you first get involved with the project and what was the appeal of it to you? I think I was called to meet Chris Columbus and John Hughes. We had a fun meeting with lots of laughs and I left believing this could be a lovely film. Rushing for a flight, realising you have forgotten Kevin, and trying to get home to him – the majority of the time your character is in hectic and highly stressful situations! What was your acting process to get ready for those and can it be emotionally exhausting work? Yes, my character did a lot of stressful running in circles. At the time of filming, I didn’t yet have children, but I come from a large, close family and it wasn’t difficult to imagine how horrific it would be to misplace a child. I remember, however, having difficulty doing the scene with Macaulay in which I admonish him with “…you’d feel awfully bad if you woke up and your family had disappeared.” (I’m paraphrasing.) Not yet being a mother, I thought that was too harsh a threat. Ha. My sons might now say I’ve said worse! Once your character secures a route home, you share a lot of scenes with the incredible John Candy. What was he like to work with? 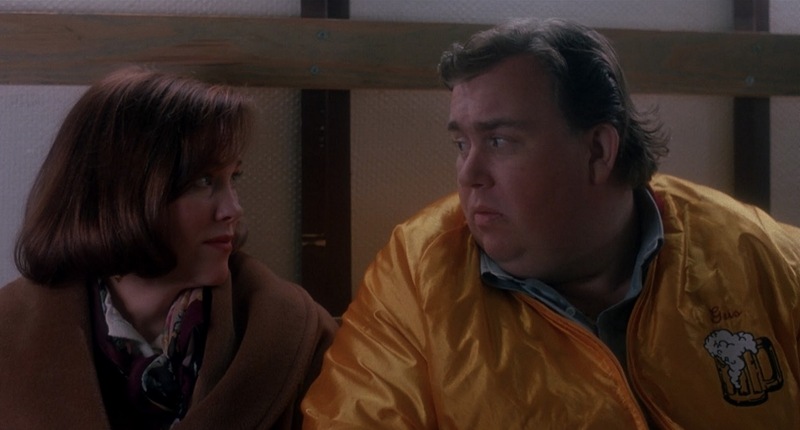 John Candy – God bless him – was as wonderful, generous, playful, and dear as you probably imagine he was. John Hughes so wanted John to be in the movie, but John’s busy schedule gave us only 24 hours to shoot with him. We improvised for about 21 hours. John Hughes kept throwing ideas at us and John kept coming up with great material. The other members of the polka band were Second City actors so there were a ton of great laughs in that truck. Meanwhile, Kevin is fending off burglars with booby traps, but which of his traps is your favourite? I was a big fan of the Three Stooges and Warner Bros. cartoons as a kid, so I love all the ways Kevin sets up the burglars and tortures them. Chris Columbus, Joe Pesci, Daniel Stern, and the effects and stunt teams did an amazing job on all those scenes. And, of course, sweet young Macaulay kept us rooting for Kevin. How was Macaulay Culkin at that time? Macaulay was a dear little hard working boy. He and Chris Columbus had a lovely, trusting relationship and that’s behind every scene. 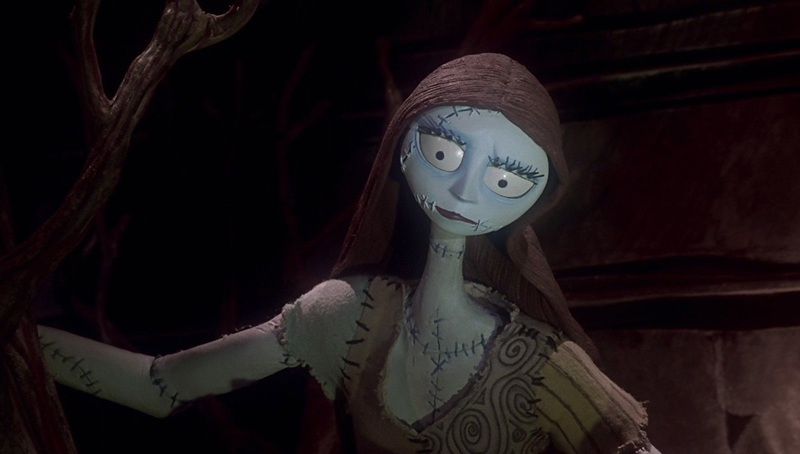 Home Alone is not your only Christmas themed film – you are also the voice of Sally in The Nightmare Before Christmas. As an actor, what are the pros and cons to voice work? Yes, I performed the voice of Sally as well as Shock. I like voicing characters for films and television. It doesn’t compare it to acting on camera. It’s just a different art form and/or skill. You’re usually alone in the booth, though it’s more fun working with another actor, and all focus is on your voice. It’s challenging but fun. Recording Sally’s song was intimidating -that song is beautiful and difficult to sing- but it’s been even more thrilling to sing the song live on stage with an orchestra, while the audience watches the film. I believe the cast will be performing live along with the movie next year in London! 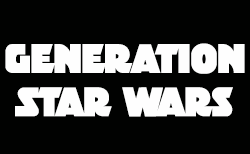 What was that film like to work on? Tim is obviously of a great creative mind. He also has a great sense of humour and is exciting to work with. Most importantly, he told the Production Designer on Beetlejuice, Bo Welch, to ask me out. We’ve been married for 26 years. You had previously worked with Tim Burton on Beetlejuice – what kind of a director is he, and what is his style of working with actors? I loved every day of shooting Beetlejuice. Michael Keaton was a joy to be around, Winona was a delightfully eccentric little girl, Glenn Shadix – God bless him – was the social director on and off set, Jeffrey Jones was both serious and great fun, and Tim made every day scary in the happiest way. And, of course, I got to see Bo every day. Lastly, what is your all-time favourite Christmas film? Along with Home Alone, I must see It’s a Wonderful Life, Holiday Inn, A Tree Grows in Brooklyn and Alistair Sim’s A Christmas Carol every Christmas season. I’m grateful to be part of other families’ Christmas traditions. Home Alone is re-released in cinemas across the world this December – and playing in the UK from the 8th of December. Check for your nearest screening here, you filthy animals.